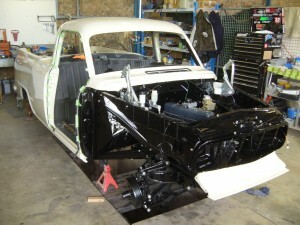 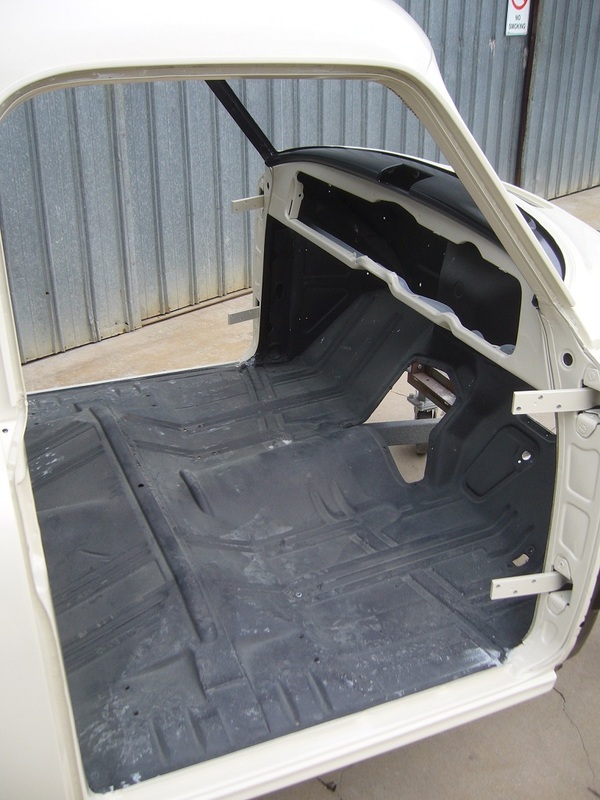 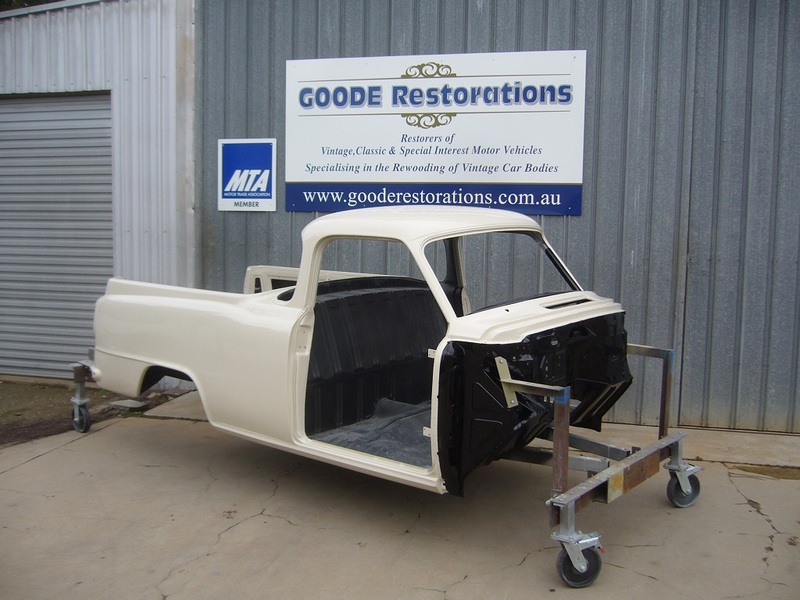 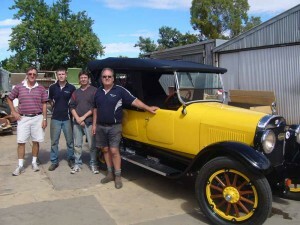 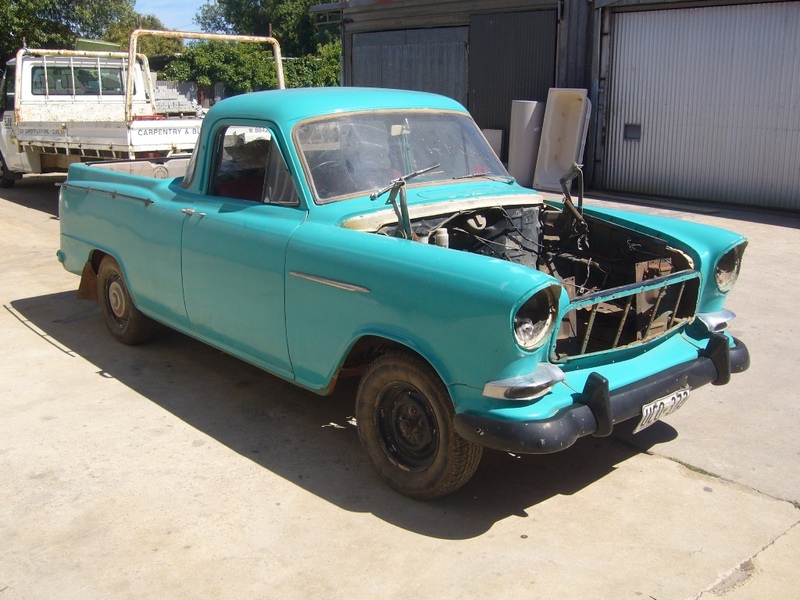 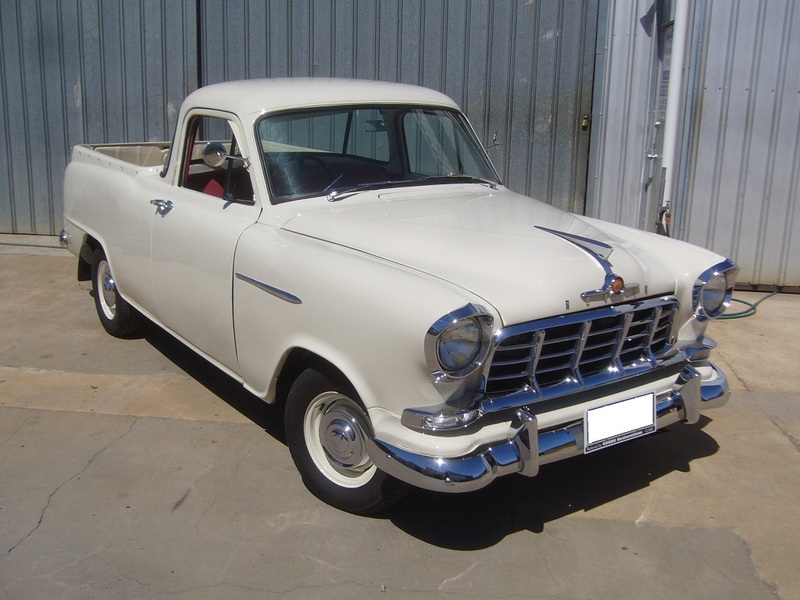 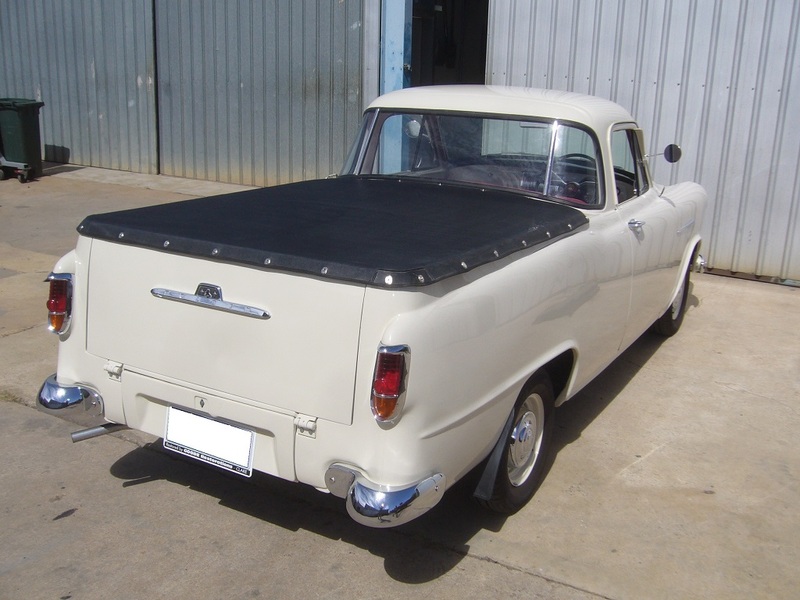 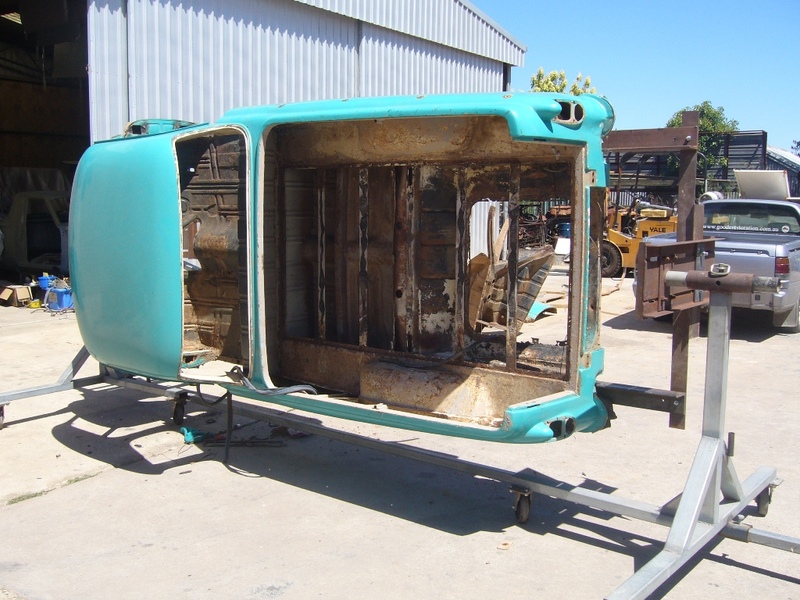 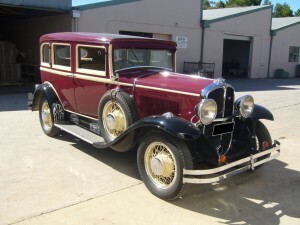 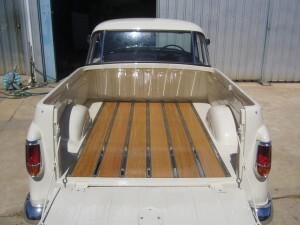 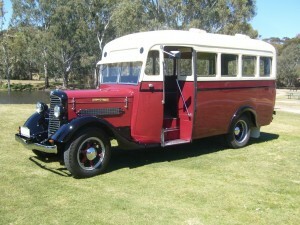 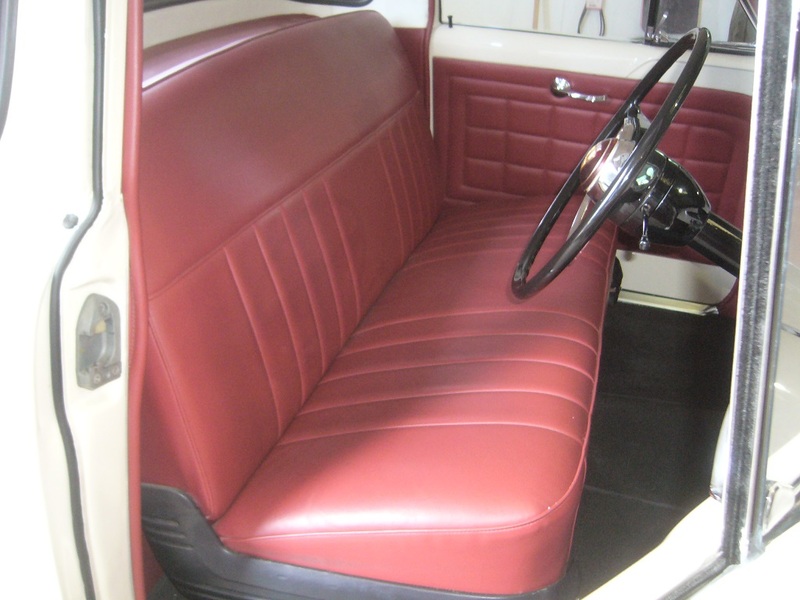 The FC Holden Ute as delivered to Goode Restorations, the vehicle had been resprayed but not all of the rust had be fully repaired. The body in our rotisserie ready for pressure cleaning and sand blasting. 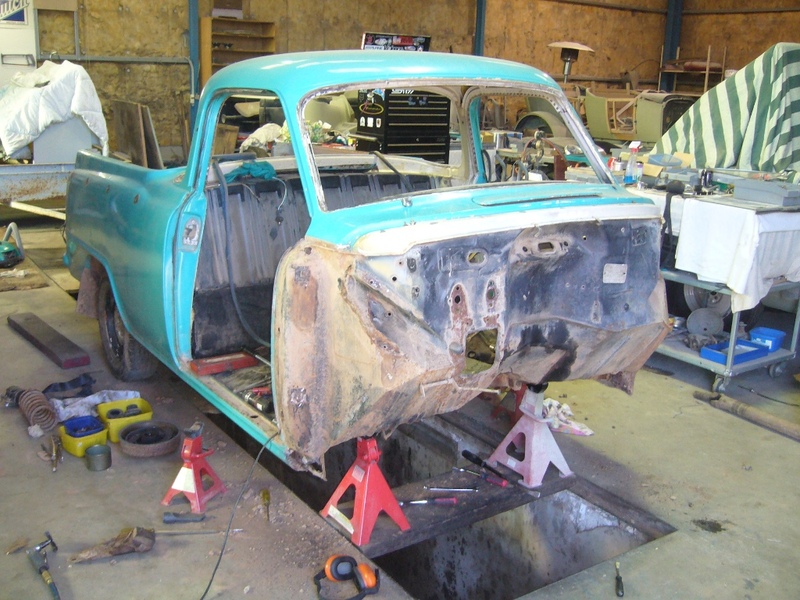 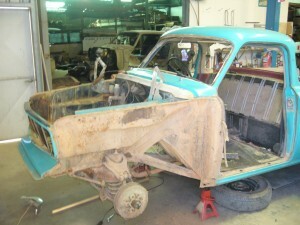 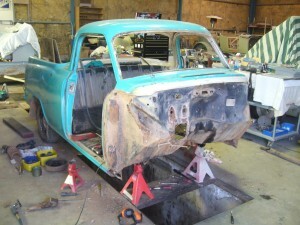 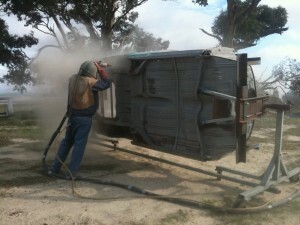 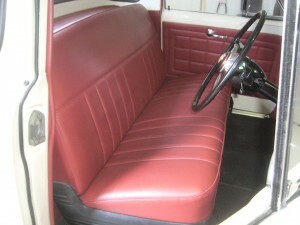 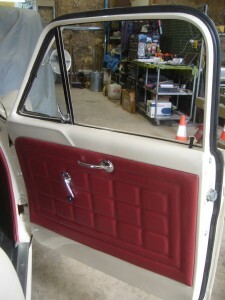 The floor pan, tray, inside of the cab and firewall being sand blasted to remove rust. 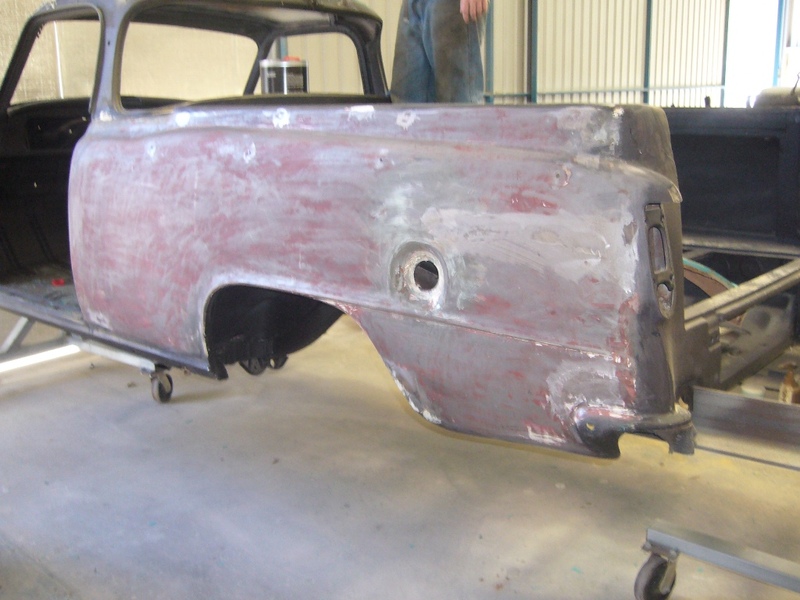 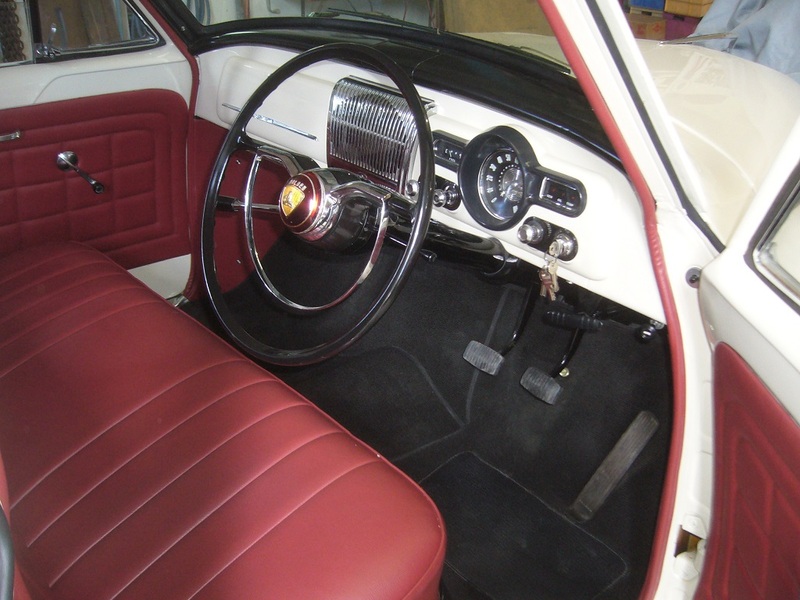 The rear quarter panels and roof were in too good a condition to be sand blasted and were paint striped insted to minimize pannel damage.